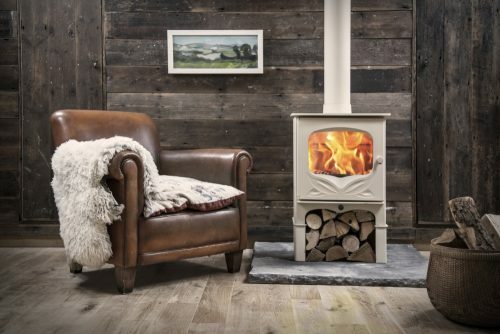 Established in 1972 and based on the Isle of Wight, Charnwood have become one of the foremost stove companies in Europe, manufacturing stoves using a combination of high-tech precision machinery and skilled hand working. 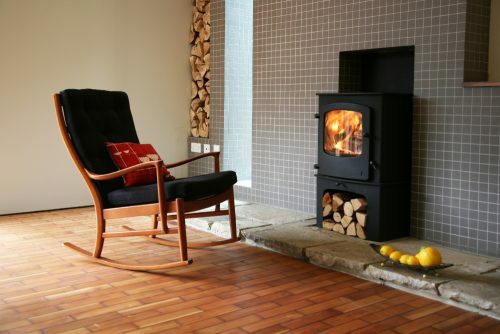 For real-fire heating the benefits of a Charnwood are numerous. Charnwood have unrivalled in-depth knowledge of real-fire heating and continue to invest a great deal of time and money into innovative stove design and development. A Charnwood stove delivers a reliable burn, providing warmth to your room with an amazing degree of control, economy and efficiency. The throat plate on all of the Charnwood models can be taken out with ease, enabling the cleaning of the flueways and the chimney without the inconvenience of removing other internal fireparts. Charnwood stoves will ‘breathe’ allowing the heat from the fire to seep into the very fabric of your home, creating a cosy, warm and relaxing environment. The constant source of heat and continual air changes also reduce condensation. The bodies of Charnwood stoves are British built from the best combination of materials for durability and design aesthetics: plate steel, cast iron, fire bricks and ceramic glass. These materials offer the best in strength and versatility with excellent heat retention properties. They also allow the stove to be tightly sealed, ensuring optimum control over the burning rate – close down the air supply for a gentle burn or open it right up for an intense, blazing fire. All Charnwood stoves are designed and tested to the highest industry standards, ensuring the very best in efficiency, safety, design and construction. If you are looking for freedom from dependence on the large energy utilities, Charnwood’s range of flue boilers, add-in boilers or central heating models can provide full home heating including domestic hot water. At a time when there is increasing concern over stability of supply throughout the world it is nice to know that a Charnwood will give certainty of warmth when you need it. Within the Charnwood range there is a model to suit every home and individual requirement. For the ultimate in contemporary home heating there is the Skyre, Arc, Tor (featured below), Cove collection and the Bay. For a classic interior there is the Island, the C-series and The Bembridge. 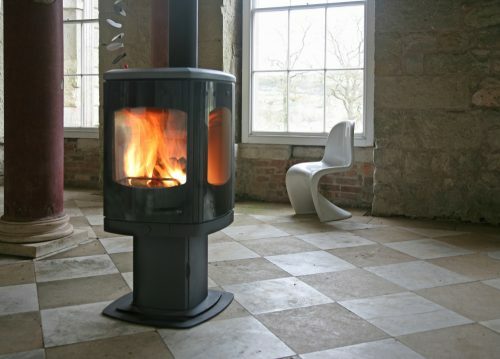 For traditional homes there is the Country range of stoves or for a more modern feel the SLX. Over the years Charnwood have been at the forefront of the new generation of clean burning ultra efficient stoves. Today, Charnwood stoves feature the latest clean-burn and air-wash technology. This means that when burning your choice of fuel the volatile by-products emitted by the initial burning are re-ignited and burnt again in the fire. This double combustion drastically reduces emissions and ash deposits and delivers even more warmth to your room. Enjoy a cleaner home, a cleaner chimney and a stove which is much cleaner for the environment. In addition, the clean-burn airwash also keeps the glass doors beautifully clear, giving you an uninterrupted view of the fire. Many Charnwood stoves also feature Blu technology: an ultra clean burn that complies with Ecodesign criteria – a new European-wide programme to lower emissions and improve air quality which becomes mandatory in 2022. Charnwood’s Blu stoves are the most environmentally friendly stoves available on the market today and benefit from low particle emissions (80-84% better than older stoves), low CO emissions, high efficiencies and improved flame picture. For a highly efficient, superb quality stove from one of the UK’s finest manufacturers Charnwood is an exceptional choice. Browse our range of Charnwood stoves here or visit our Winkleigh showroom to see working appliances installed in a home environment.